Johnston-Willis Hospital’s expert surgeons are consistently leading the way for others to follow with the integration of robotics in surgery. A surgeon specializing in robotic surgery at Johnston-Willis Hospital has undergone specialized and intensive training to use the specific robot required for your surgery. In fact, you can rest easier knowing your entire highly experienced team of anesthesiologists, nurses, assistants and surgical techs are also trained to support each surgeon’s needs during robotic-assisted surgery. When faced with the possibility of surgery, patients are naturally concerned about down-time. Returning you to your active lifestyle as quickly and safely as possible is a shared goal you’ll have with the surgeons and healthcare providers at Johnston-Willis Hospital. 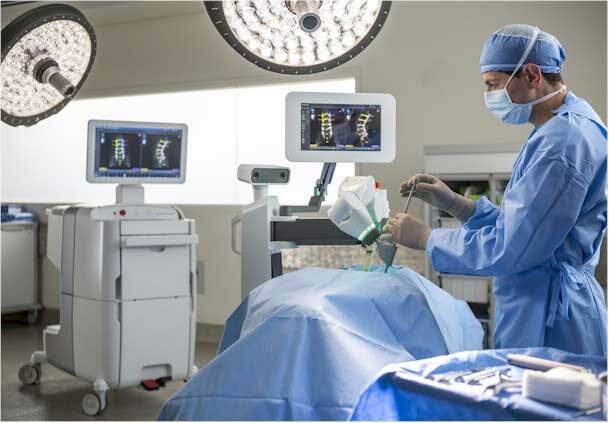 While each robotic system is different, most of them allow for a magnified area of the surgical site and require an experienced robotic surgeon to guide the robot from initial incision to closing the incision site. Some robotic systems enable surgeons to operate with enhanced vision, precision, dexterity and control versus a human hand. This allows incisions to be smaller and time on the operating table to be greatly lessened. If you suffer from a condition that requires surgery, call Johnston-Willis Hospital today to find a surgeon who can assist you at 804-320-DOCS (3627).